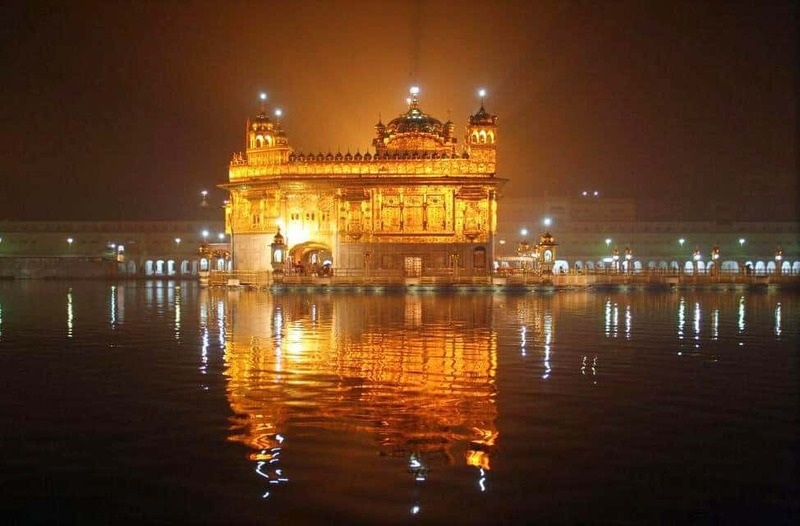 Located in Punjab, India, the Golden Temple, which is decorated in marble sculptures and gilded in gold, is one of the most sacred shrines of Sikhism. For Sikhs, the temple symbolizes infinite freedom and spiritual independence. Construction began in the 1500’s and the lake upon which it was built is believed to have been visited by Buddha. 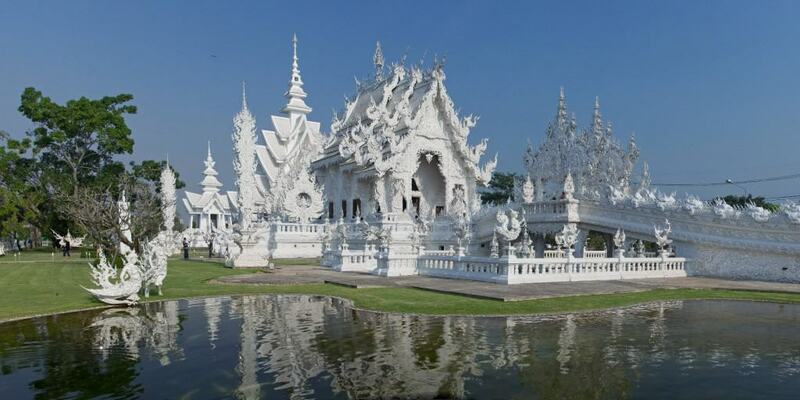 This majestic, all-white temple in Chiang Rai, Thailand looks like something of another world. It’s gilded in mosaic mirrors, which reflect the sun and cause the “White Temple” to shimmer. 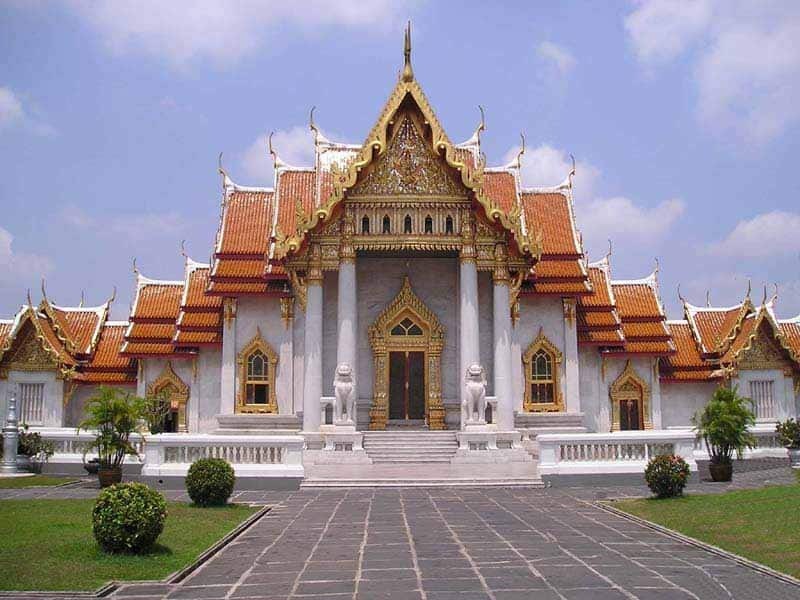 Built in 1997, the temple is actually a privately owned art exhibit that was designed in the style of a Buddhist temple and still has many years of construction left before it’s completed. 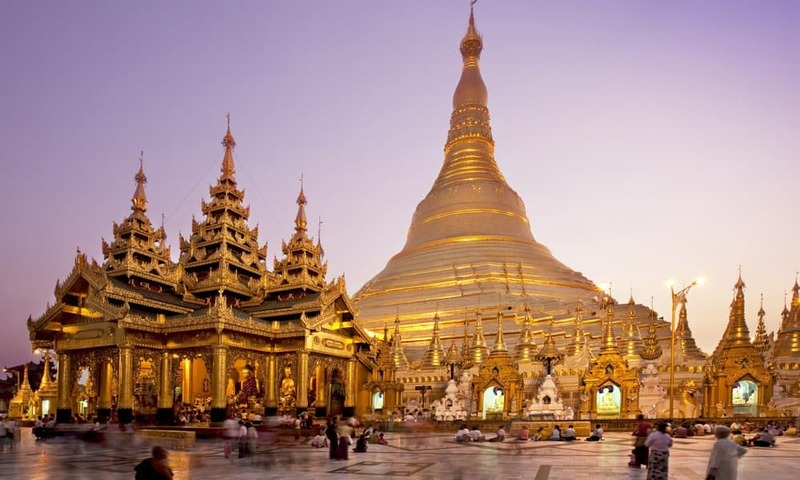 This striking Buddhist temple was built in the late 12th century, but was badly damaged in an earthquake in 1975 and had to be reconstructed after. 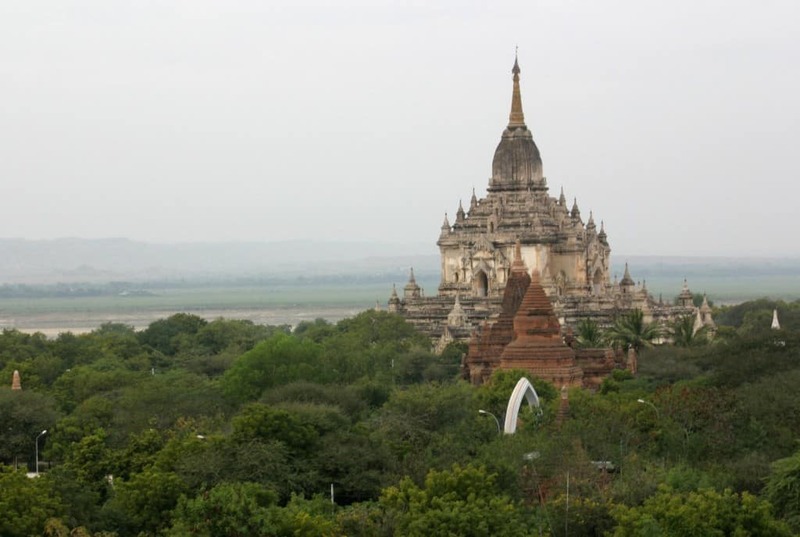 The two-story temple is one of the largest temples in Bagan. 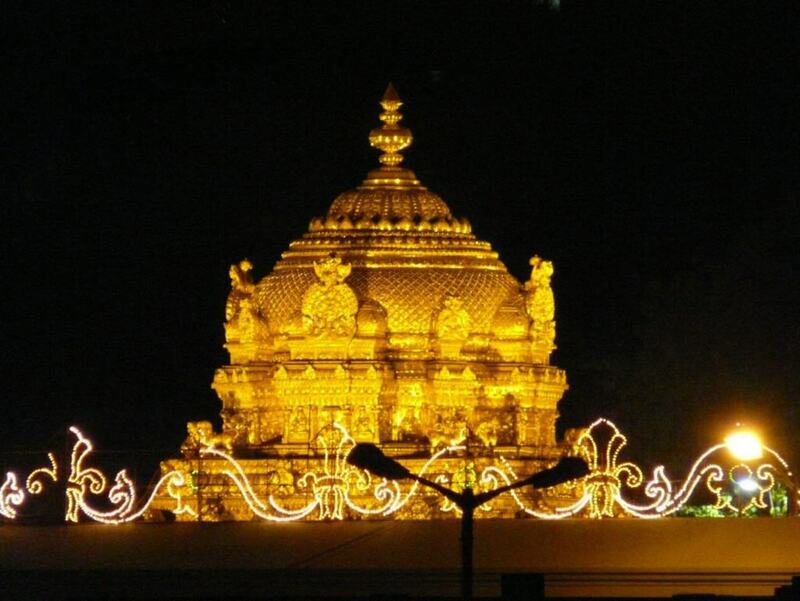 The Tirumala Temple, built in the 8th century, is the most famous vedic temple in Tirumala, India. 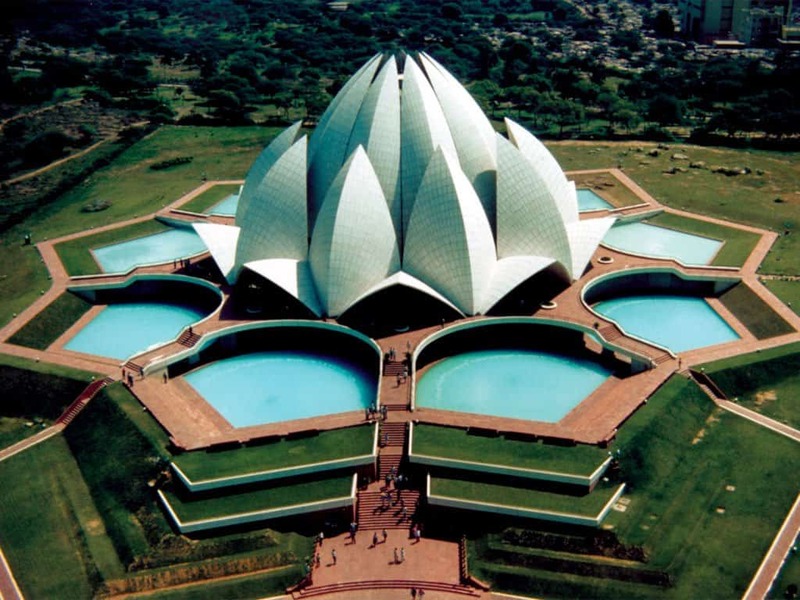 With 30-40 million visitors annually, it is the richest temple in the world and the most visited place of worship. 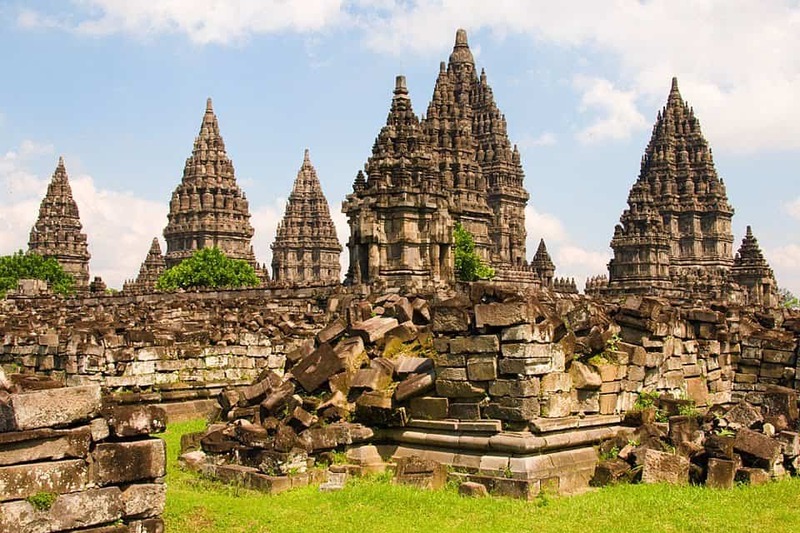 This Hindu temple in Central Java, Indonesia, was built around 850 CE. The 1200 year old temple has 8 main shrines and 250 smaller ones. Nearly all of the walls are covered in exquisite low relief carvings, narratives of Vishnu’s incarnations, and other stories and legends. 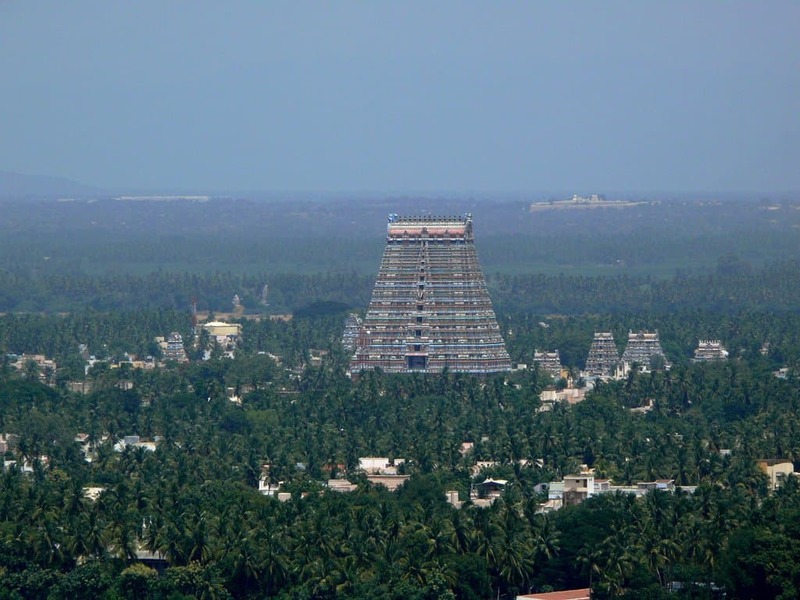 The Vishnu temple of Srirangam, located in Trichy, India, is the largest functioning Hindu temples in the world. It sits on 150 acres and has 7 concentric walls, the outermost which is two and a half miles long. Each enclosure is more sacred than the previous, and the inner most chamber is forbidden to non-Hindus. 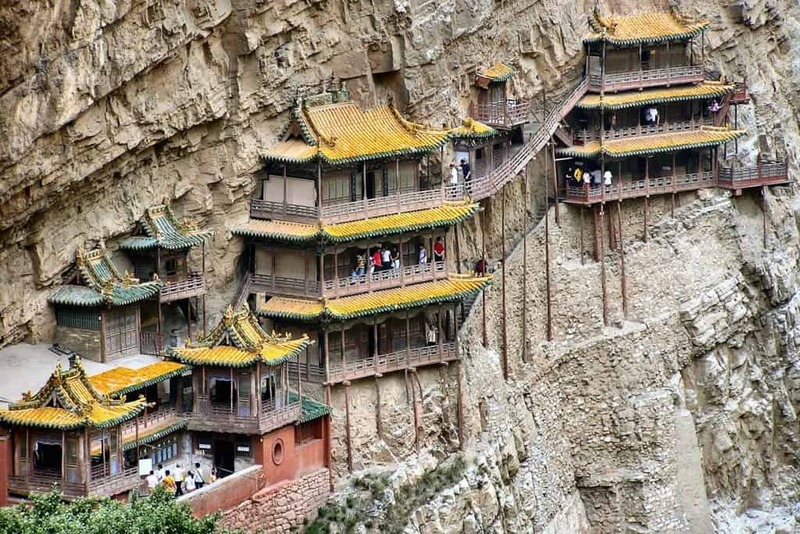 The Hanging Temple was built into a cliff almost 1,500 years ago, in Datong, China. 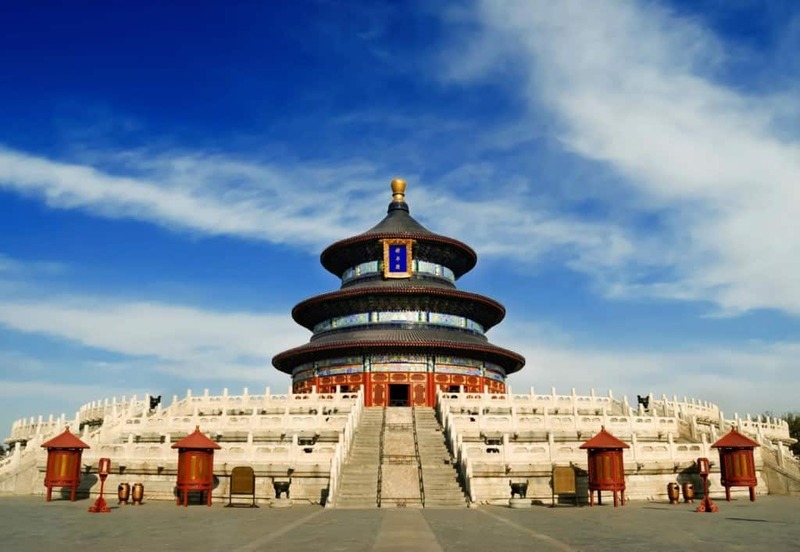 It’s the only existing temple that honors 3 Chinese religions: Buddhism, Taoism and Confuscionism. The main supportive structure is hidden in the bedrock and is kept in place with oak crossbeams that are fitted into holes that have been chiseled into the cliff. Supposedly, it was originally built by one man, but has obviosuly gone through countless repairs since then. 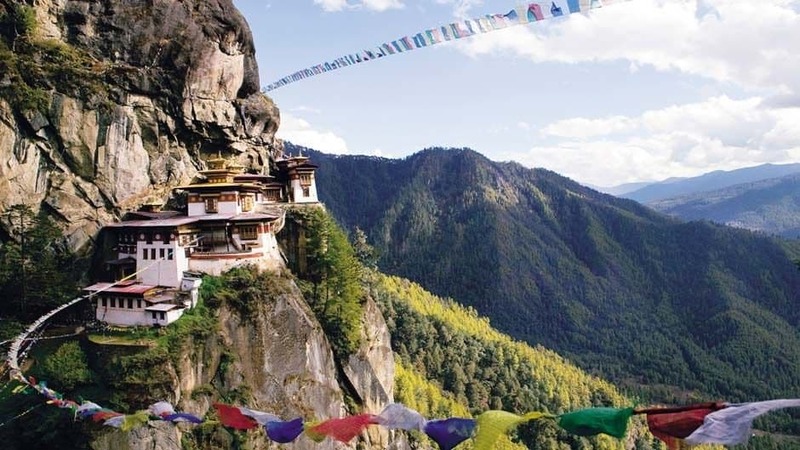 This breathtaking Buddhist temple is covered in gold. The spire has more than 5000 diamonds and 2000 rubies, and even the tip has a 76 carat diamond! Legend says the golden temple, which has strands of Buddha’s hair inside, is 2500 years old, but some archaeologists say it was likely built between the 6th-10th centuries. 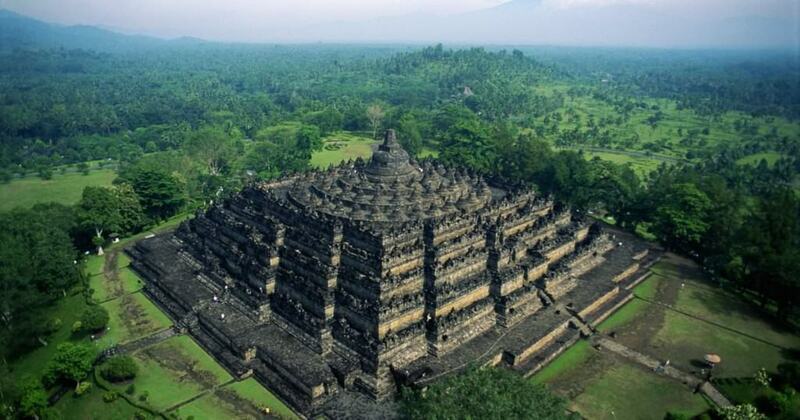 This magnificent temple took over 1,500 years to build and it is the largest ancient religious site in the world. 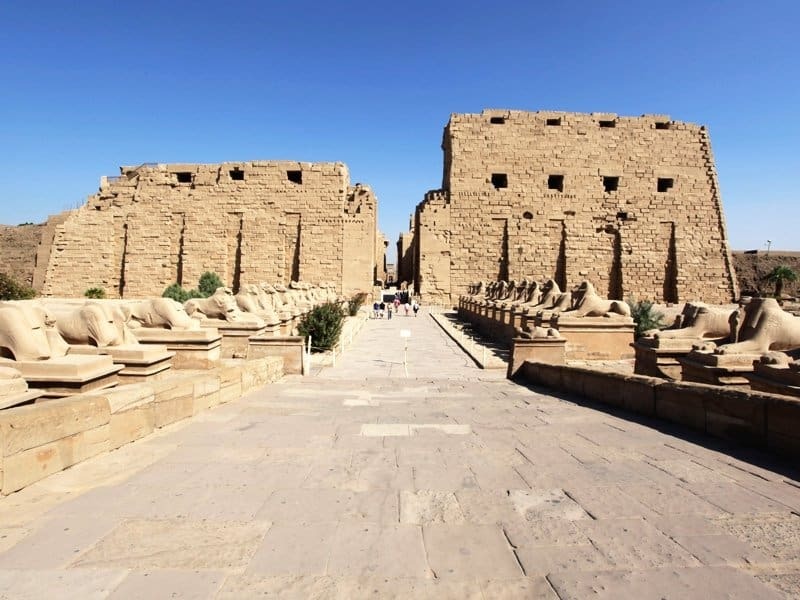 There are three main temples and Great Hypostyle Hall contains 134 massive columns that are 60 feet in height. 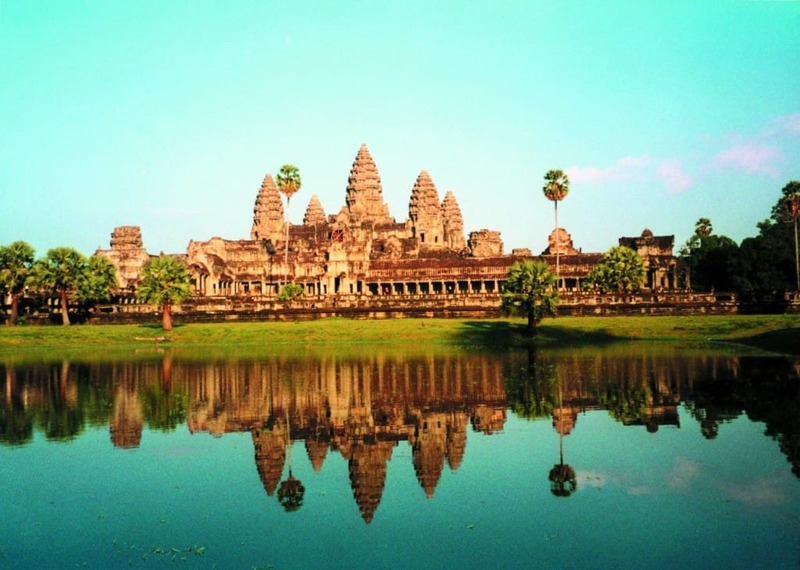 Probably the most famous temple in the world, Angkor Wat is the subject and inspiration or countless books and movies. It was built in the early 12th century as a Hindu temple. 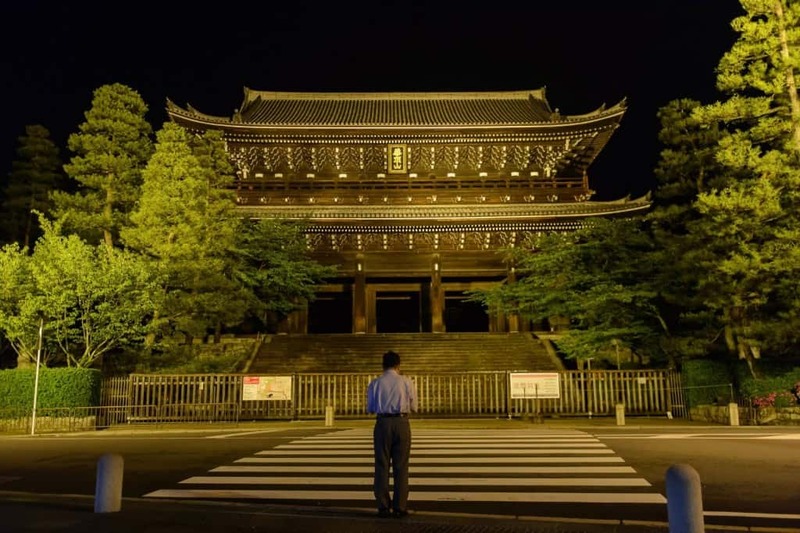 In the 14th or 15th century it became a Buddhist temple, and today it serves as the largest non-functioning temple in the world. This Taoist temple in Bejing, China was built in the 14th century by Emperor Yongle of the Ming Dynasty, the same emperor who built the Forbidden City. Everything with a circular shape represents heaven and everything that is square shaped represents earth. At 273 acres, it is one of the largest architectural compounds in the world. 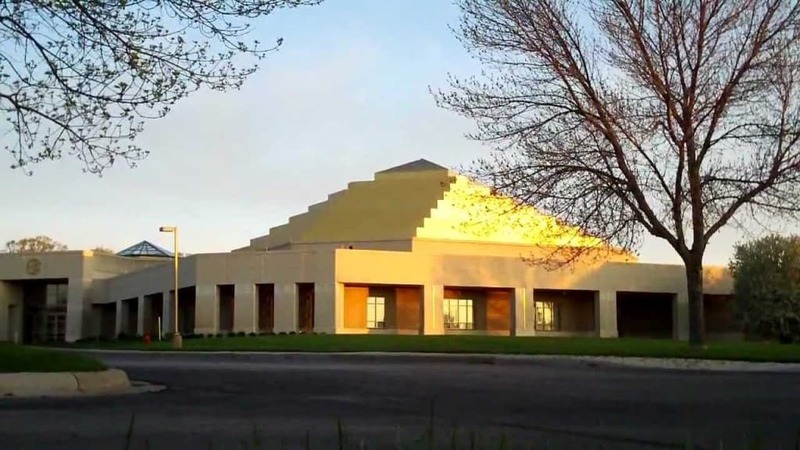 This stunning golden temple resides in Chanhassen, MN, and is the spiritual home of students who follow the spiritual teaching of Eckankar. Built in the early 1990’s, its most distinguishing feature is the beautiful pale golden ziggurat roof that is reminiscent of ancient Babylonia, a symbol of man’s spiritual journey. 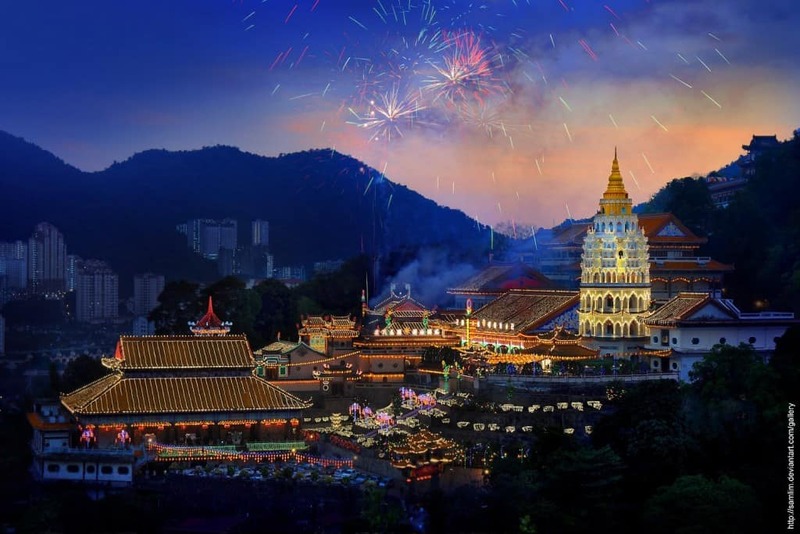 This vibrant Buddhist temple began in 1890 and is still expanding today with its menagerie of color and architectural styles. It is said to be the largest Buddhist temple in Southeast Asia and boasts 10,000 alabaster and bronze statues of Buddha. The Chion-in temple, in Kyoto, Japan, was built in 1234 CE in honor of the founder of Jodo Buddhism, a priest named Honen, who fasted to death at the very spot of the temple. The massive temple bell weighs 74 tons and takes the strength of 17 monks to ring it. Unfortunately, most of the original 21 buildings have been destroyed by earthquakes and fire. 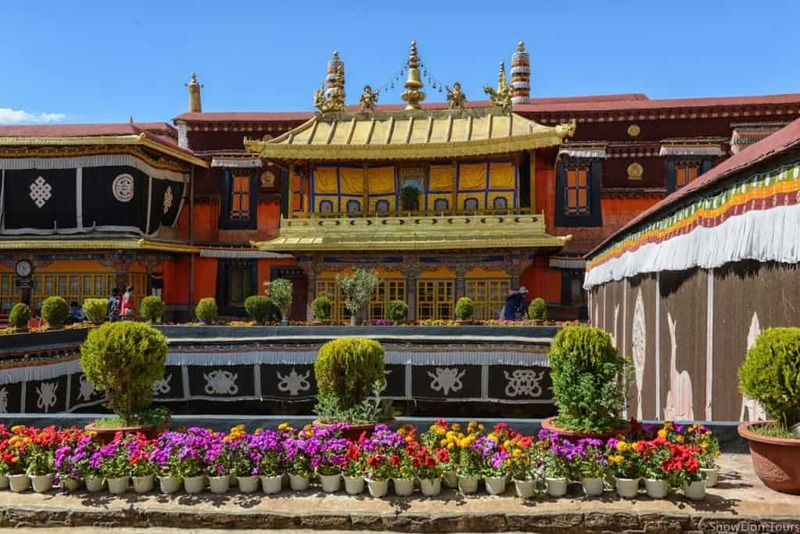 The Jokhang Temple was built in 642 CE and serves as the spiritual center of Lhasa. It is considered the most important and sacred temple in all of Tibet. The most important object in Tibetan Buddhism is housed here, a statue of Gautama Buddha, the founder of Buddhism. 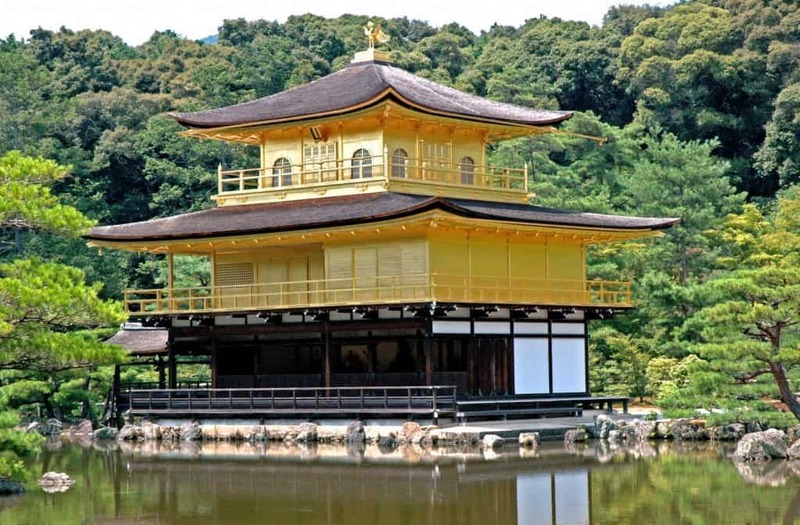 This Zen Buddhist temple in Kyoto, Japan, is known as the “Golden Pavillion.” It was constructed on a lake in 1397 and today, is one of the most recognized and visited sites in all of Japan.